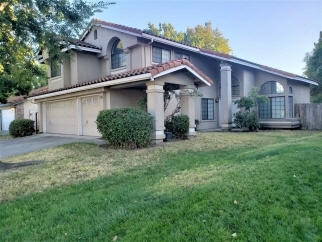 Weston Ranch Two story home with 4 Bedrooms and 3 full baths. Downstairs bedroom and full bath! Upstairs huge loft! Huge laundry room w/ cabinets. Brand new carpet thru out this home! Kitchen w/ tile counters . Large living / dining room with vaulted ceilings. Large back yard.Close to Schools , parks and shopping.